Patrick and I are standing in our driveway, in front of the house. 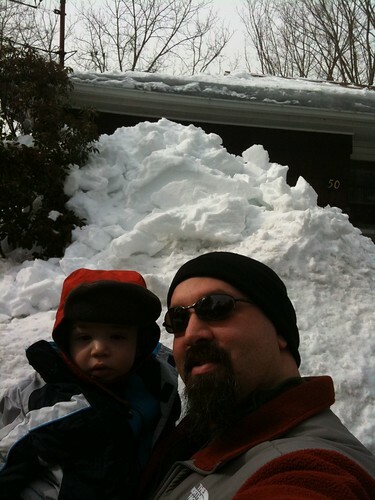 After cleaning the snow off of the roof, this pile is nearly up to the roofline — about nine feet tall! What you don't have him on a snowboard yet?